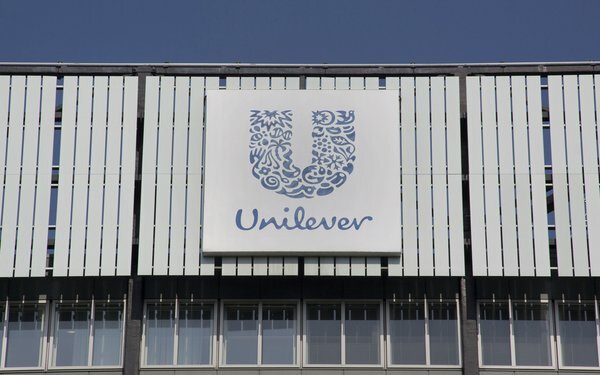 Unilever continues to work with IBM to develop a blockchain to address transparency and trust issues among its advertising partners. Keith Weed, chief marketing and communications officer at Unilever, sent a forceful warning to Google, Facebook and other digital platforms to clean up their act, or the company will pull its advertising. Unilever -- which owns popular brands including Dove -- spent about $9.8 billion in 2017 on marketing and advertising, with about a quarter in digital. Speaking at the IAB Leadership Summit in Palm Desert, California on Monday, Weed said the increase in objectionable content running on social media and a lack of protection for children continue to erode trust among consumers and companies alike. He said that Unilever will no longer tolerate working with advertising platforms that cannot meet these standards. Unilever will do its part by using blockchain. The technology aims to provide transparency and record what media is purchased and how it is delivered. "It's about trust," Weed said during a presentation at the IAB Leadership Summit. On a blockchain, transactions occur in multiple pieces. A ledger-based system has blocks. All the information is confined to a specific block and transitions to another when the process is completed. The blockchain is tied to the company's commitment to “responsible” platforms, content and infrastructure. Weed also conveyed that the company will support partners such as Facebook and Google only as they invest in improving their platforms, says Brian Wieser, senior research analyst of advertising at Pivotal Research Group. Weed emphasized that part of the agenda is focused on more than industry issues that impact society. Babs Rangaiah, executive partner of global marketing at iX at IBM and former Unilever employee, described in an interview the blockchain strategy and the dashboard in which users will see the data. The two companies tested the technology for seven months in phase one. The project, which will roll out in several phases, officially launched Saturday. The second phase provides a daily reconciliation of the audience based on a smart contract, and guidelines that have been agreed upon by all the companies involved. Any discrepancies in the contract are resolved the same day, so none carry will over to the next. The contract appears to be similar to and-if statements in code. "The vast majority of those discrepancies clear daily using blockchain," he said. The third phase of the project will add an insertion order, followed by a payment system. 5 comments about "Unilever Unveils Blockchain, Threatens Billions In Ad Spend". Henry Blaufox from Dragon360, February 13, 2018 at 10:31 a.m.
Perhaps this IBM - Unilever initiative can be best understood if we look at it as an IT program, not an advertising one. IBM gets to develop a tech solution for along time major customer. The owner on the client side is marketing. If this works, especially if IBM can overcome enough of the blockchain shortcomings, they can take this to their other global scale clients. Classic IBM style. Look for other major tech firms with match offerings to do likewise, especially Oracle. Marilois Snowman from Mediastruction, February 13, 2018 at 11:06 a.m.
Would love to hear more about how blockchain works if only the buy side participates. If Facebook and Google don't/can't agree to ledger/contract terms, will Unilever be able to scale digital media exposure, going publisher by publisher? Paula Lynn from Who Else Unlimited, February 13, 2018 at 12:30 p.m. Kudos to Unilever however....$9,800,000,000 ( almost 10 Billion dollars) in marketing and advertising for one company per year. Think about it. Then think about it again. There is something so wrong with this picture it will bite your toes. John Grono from GAP Research replied, February 13, 2018 at 8:01 p.m. It is a scary amount. But it is also only about $1.30 per person. Jeff Einstein from The Brothers Einstein, February 15, 2018 at 8:05 a.m.
Facebook and Google will take extraordinary pains to clean up their respective acts, most likely because Unilever won't be the only major advertiser to deploy the same technology for the same reasons. File this one in the no-good-deed-goes-unpunished drawer in the be-careful-what-you-wish-for cabinet. While Unilever's goals to clean up the ad environment may sound laudable (at least as laudable as a $10 billlion dollar ad budget can be), the unintended consequences of wholesale purification of any environment (virtual or real) are chilling at best. "What Huxley feared was that there would be no reason to ban a book, for there would be no one who wanted to read one." Likewise, in the Brave New Digital World, freedom of speech is rendered inert when there's nothing worthwhile left to discuss. In the Brave New Digital World we have already achieved diversity of everything except thought. How can it possibly be otherwise when 90% of the commercial media ecosphere is owned by only six companies -- all of whom will likely offer their own blockchain final solutions to purify the ad environment (our environment)?